(by Ralph Peters, NY Post) – When it comes to fanatical Islam, we’re entranced by the symptoms but refuse to name the disease. The extremes to which Western elites will go to avoid blaming radical Islam for terrorism cripples our efforts to protect innocent Muslims. Terrified of offending butchers, we insist that we’re the bigots, not them. We make excuses for monsters. 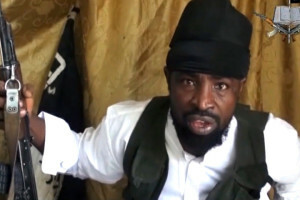 Boko Haram, whose name means “Western learning is forbidden,” kidnaps 200 schoolgirls, and the world rightly takes notice. But what about the thousands of peaceful civilians, both Christian and Muslim, Boko Haram has killed, purportedly to install an Islamist state? What about the medical workers, pious volunteers, who are murdered in a faith’s name? 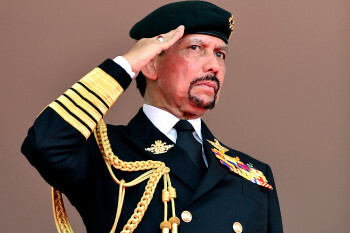 Hollywood suddenly woke up to Islamic fundamentalism last week in the strangest possible way, boycotting the Beverly Hills Hotel because it’s owned by the Sultan of Brunei, who plans to impose the cruelest provisions of Sharia law on his fiefdom’s women. Hey, I’m all for the boycott (can’t afford the joint, anyway), but this is a combination fashion-statement and NIMBYism par excellence. On vacation, those same stars will stay happily at the Four Seasons, even though a Saudi prince has owned nearly half of its shares. How are women’s rights going in Saudi Arabia? Would Hollywood make the same noise if the sultan just owned the local Motel 6? Liberals refuse to accept that such problems aren’t aberrations, but norms: chronic symptoms of the illness of Middle-Eastern Islam. Those same stars, directors and producers who are switching hotels in Beverly Hills wouldn’t dream about making films about the vast misery imposed on women (and plenty of boys and men, for that matter) by Islam’s violent regression in our time. In Hollywood, attacking Christianity or Judaism is cool. But all those “brave” filmmakers are terrified of offending Islamist activists. Instead of films about al Qaeda’s atrocities, we get movies that trash our military for “crimes” against the terrorists. How can our elites ignore the immeasurable suffering inflicted on Muslims in the name of Islam? Al Qaeda and its franchises have slaughtered far more Muslims than they have Westerners. Don’t those victims count? Islam is in the midst of a great civil war between those who wish to modernize their faith, and those who want to return Islam to an age of barbarism. Through our silence, we strengthen the fanatics. Our elites even do their best to stifle the voices of inconvenient victims. Who in Hollywood stuck up for Ayaan Hirsi Ali, a victim of Islamists, when she was prevented from telling her story on-campus? That was an intellectual honor killing. An entire civilization is failing before our eyes. Cultures whose values just don’t work in the 21st century are damning themselves to stagnation by oppressing the female half of their populations (and repressing the males, too). From Morocco to Pakistan, no state other than Israel is competitive in any significant field of human endeavor. In 2014, the Muslim Middle East not only cannot build a competitive automobile, but can’t produce a competitive bicycle. Published May 11, 2014 at The New York Post. Reprinted here May 15, 2014 for educational purposes only. 1. The purpose of an editorial/commentary is to explain, persuade, warn, criticize, entertain, praise or answer. What do you think is the purpose of Ralph Peters’ editorial? Explain your answer. 2. For each of the following points made by Mr. Peters in his commentary, write agree or disagree and explain your answers. __________________ The extremes to which Western elites will go to avoid blaming radical Islam for terrorism cripples our efforts to protect innocent Muslims. Terrified of offending butchers, we insist that we’re the bigots, not them. We make excuses for monsters. __________________ Hollywood [began] boycotting the Beverly Hills Hotel because it’s owned by the Sultan of Brunei, who plans to impose the cruelest provisions of Sharia law on his fiefdom’s women. On vacation, those same stars will stay happily at the Four Seasons, even though a Saudi prince has owned nearly half of its shares. How are women’s rights going in Saudi Arabia? __________________ Would Hollywood make the same noise if the sultan just owned the local Motel 6? __________________ Those same stars, directors and producers who are switching hotels in Beverly Hills wouldn’t dream about making films about the vast misery imposed on women (and plenty of boys and men, for that matter) by Islam’s violent regression in our time. __________________ In Hollywood, attacking Christianity or Judaism is cool. But all those “brave” filmmakers are terrified of offending Islamist activists. Instead of films about al Qaeda’s atrocities, we get movies that trash our military for “crimes” against the terrorists. __________________ How can our elites ignore the immeasurable suffering inflicted on Muslims in the name of Islam? Al Qaeda and its franchises have slaughtered far more Muslims than they have Westerners. Don’t those victims count? Read a second editorial “Boko Haram and the Kidnapped Schoolgirls” by Somali-born Ayaan Hirsi Ali at wsj.com.